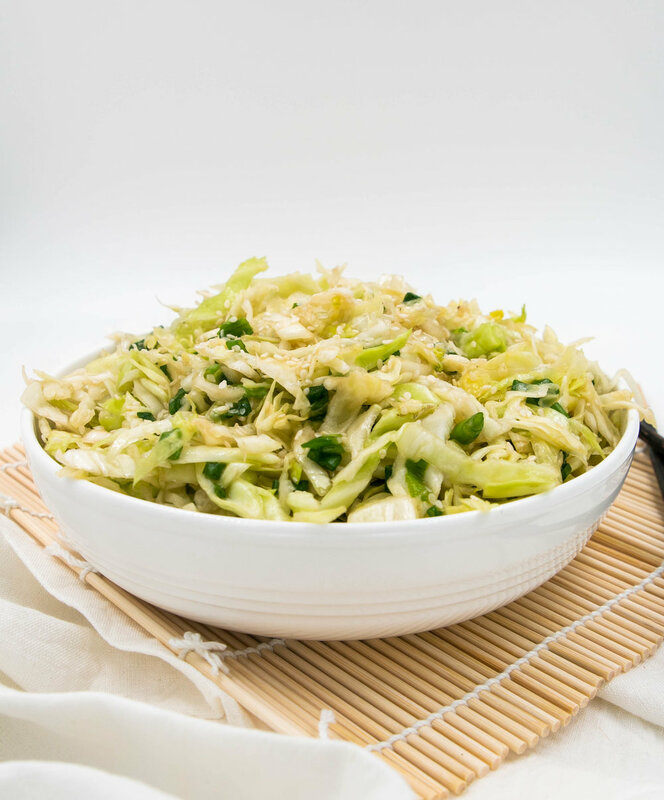 The Korean Style Cabbage Salad is a plate full of delicious health benefits and simple ingredients such as cabbage, green onion, and garlic. Cabbage is for a healthy digestive tract which is good for the daily excretion of toxins out of the body. The green onion, also known as scallions or spring onions, contains vitamin C and vitamin K which reduce the risk of bone fractures and osteoporosis (brittle and fragile bones). As for the garlic, it is a popular flavor booster as well as one of the main ingredients in helping you get well when the cold or flu comes. To describe this Korean style cabbage salad in three words, I would use tangy, sweet, and addictive. The longer this salad stands and marinades, the more I like it. So juicy! Combine cabbage, scallions, and garlic in a bowl. Prepare the dressing sauce by mixing vinegar, salt, agave, ground red pepper, soy sauce, olive oil, and sesame seeds. Add to the salad and mix well. Cover and let it stand in the fridge for 20 minutes, then mix again, your salad will be ready for you to enjoy! Transfer into a salad bowl and serve. Sprinkle with more sesame seeds if desired.